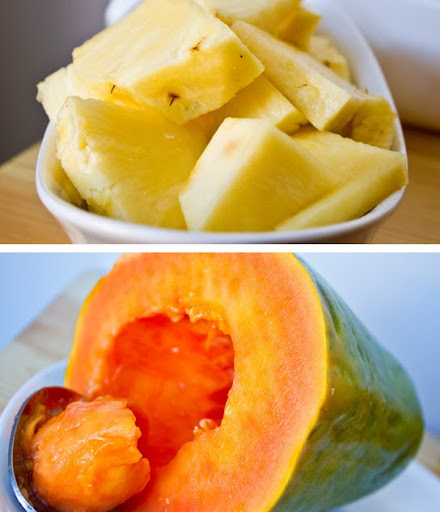 Papaya and Pineapple for Winter Allergies. Winter allergies can make your life miserable, especially if you are allergic to things like pet dander, mold and dust mites. When the winter heaters and furnaces get turned 'on' all those little particles that have been settling in the ducts and pipes all summer long get fluffed up into the air and into your nose. Not to mention the dry skin, dry pet skin that can cause excess shedding. And tack on the rise of cold and flu season and your immune system really ends up getting squeezed dry like a dirty dish cloth. What's a wellness-seeker to do?? Winter Allergy Remedies. There are several wellness-enhancing remedies to ease the pain of winter allergies. HEPA air purifiers, steam, a heavy-handed cleaning job to get rid of the dust and allergy-inducing grime, dry skin remedies, cold and flu wellness tips, over the counter medication, new age salt rooms, neti pots, allergy-fighting herbs, tea, soup and many many more. But for me, I enjoy a bit of old-fashioned allergy relief - 100% pure fresh fruit. Pineapples and papayas to be exact. 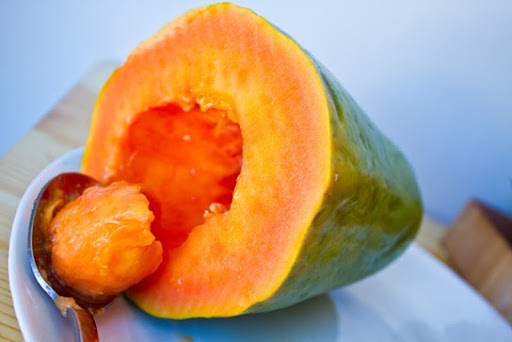 I've posted several articles on the merits of papayas and pineapples when it comes to fruit enzymes. 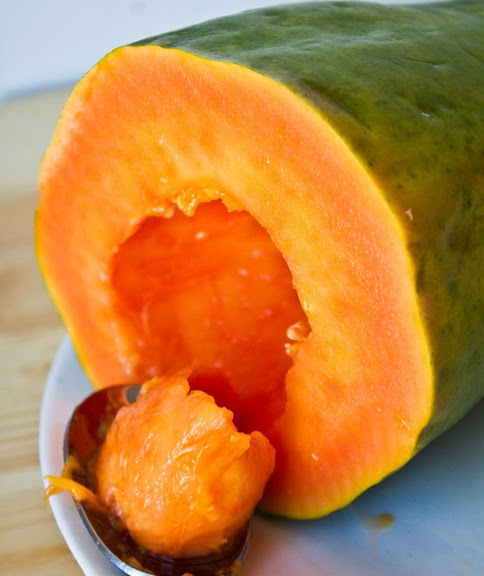 Papaya contains the enzyme papain and pineapples bromelain. They are the only natural sources of these powerful digestive enzymes. But not only can these enzymes aid in digestion - they have also been found to aid in sinus-related issues. Seasonal Allergies: Six Sips for Ach-OO! 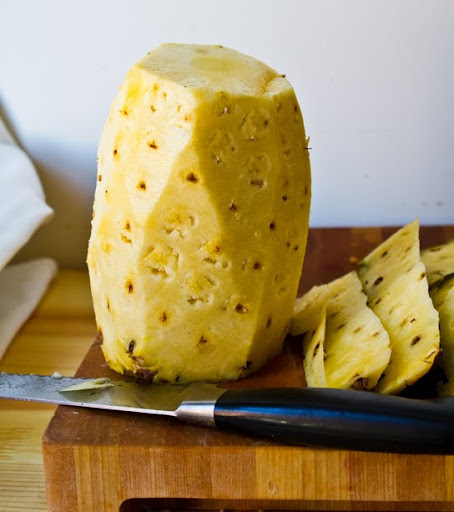 Pineapple & Papaya for Winter Allergies. So give it a try. 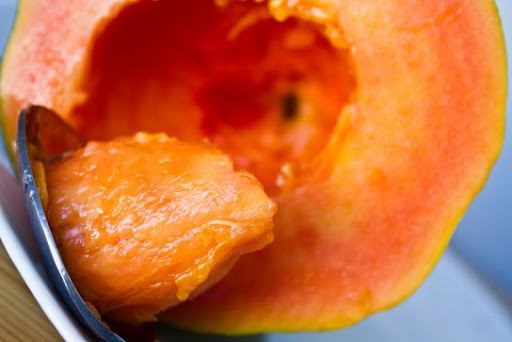 Slice open a fresh ripe papaya or a chop a juicy yellow pineapple. 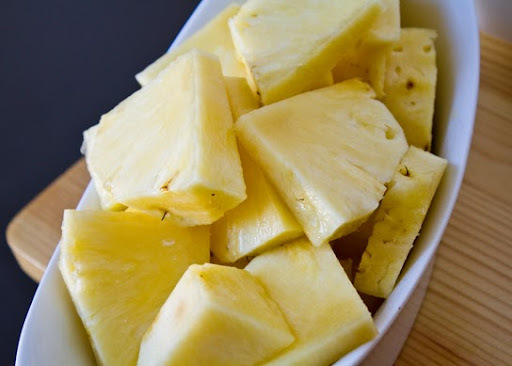 I am constantly keeping a giant bowl of fresh pineapple in my fridge when my allergies act up. Something about it seems to help. And we can all use a little extra fruit to our diets anyways, right? What are your winter allergy remedies?? *Felton G.E. 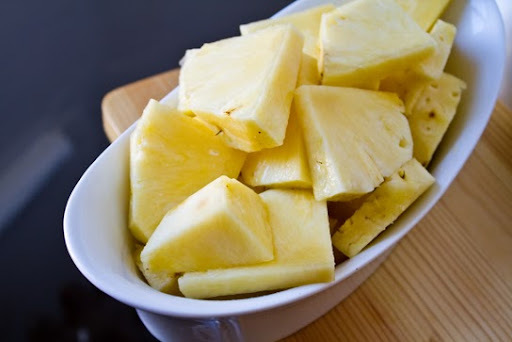 Does kinin released by pineapple stem of bromelain stimulate production of prostagalandin like compounds? Hawaii Journal of Medicine 36(2):39 1977 Bromelain use reduces coughs and bronchitis and relieves sinus symptoms. *Gaby AR. The story of bromelain. Nutr Healing May 1995:3,4,11. Use for sinus pain, blocked bronchial passages, asthma and allergy. *Grossan M. Enhancing the Mucociliary System. Advance for Respiratory Care Practitioners. April 17, 1995. 8:12-13 For chest congestion due to thick mucus, the proteolytic enzyme can aid significantly.